Chelsea’s lack of quality finishing in front of goal this season has been a constant concern for the management, and searches are underway to get a new crop of better strikers to the Stamford Bridge by January for the second half of the season. Despite their recent loss, the 7th one of the season leaving them on the 16th position after 12 games, the club owner is still hopeful and targets a top 4 finish at the end of the season. 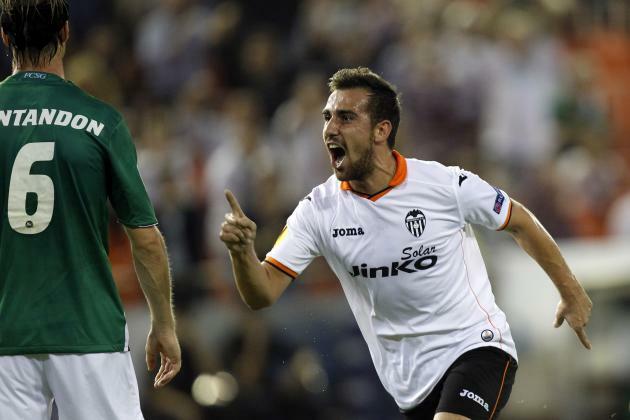 After the club identified a shock transfer target in former United forward, Javier Hernandez as one of their targets for the Winter transfer window, Valencia striker, Paco Alcacer has also been made one of the top transfer targets when the market opens in January. The 22 year-old form has alerted Chelsea’s authorities who are hopeful his arrival at the Stamford Bridge for the later half of the season could help solve their striking problems. Paco has 5 goals to himself in the La Liga this season, which is way more than the combination of Diego Costa, Radamel Falcao and Loic Remy’s total goals in the EPL of a measly 3. Chelsea have had to rely on the services of Willian who has used the opportunities of dead balls situations to score 5 freekicks for the team across all competitions. Chelsea’s woes has seen Mourinho come under fire following the poor results, and the Portuguese will be looking at making major squad changes by January if he is still in job. The underperforming strikers could be shown the exit door according to reports in order for the team to accommodate new forward signings.